Some Sunday tidbits for Natalie fans. 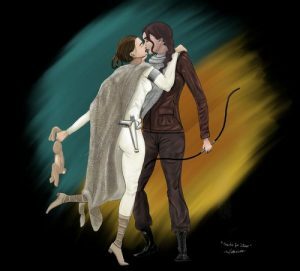 – Here is an AV Club piece that makes the argument that Natalie’s Padme character should return in the new Star Wars films. – Speaking of which, here is a drawing of Padme (with Mathilda’s toy?) making out with Jennifer Lawrence from Hunger Games. Because…why not?